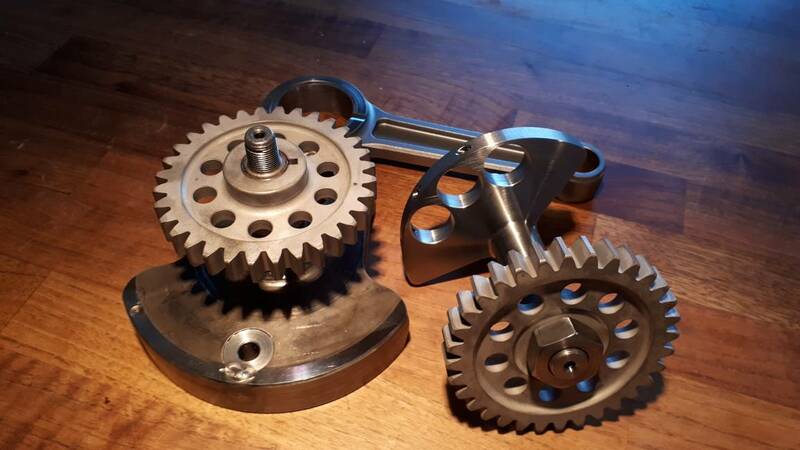 The drawings of the steel parts (counter balancer shaft, primary/secondary spur gears) are sent to the machinist and soon enough also the alu parts. Now all 3D models are sent for manufacturing. So now I have been stripping the crank cases for all special parts that will be moved over to the "new" set of cases. The needles in the big end bearing put dents in the crank pin! Ouch! Signs of an abrupt stop.. Impressive (pun). 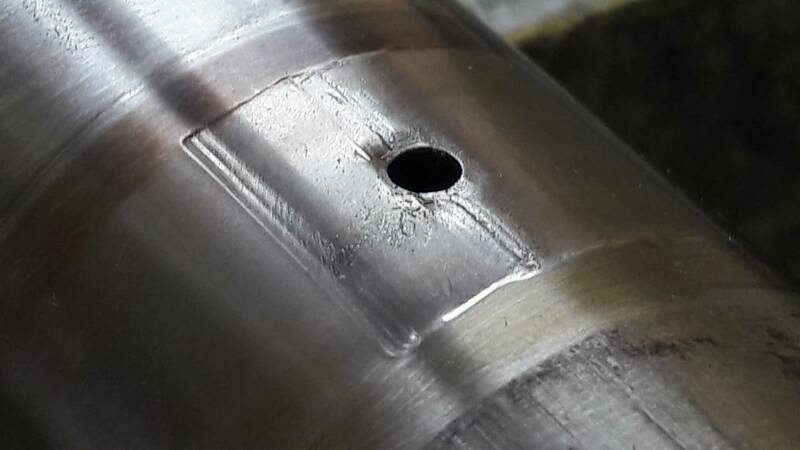 New steel parts are machined. 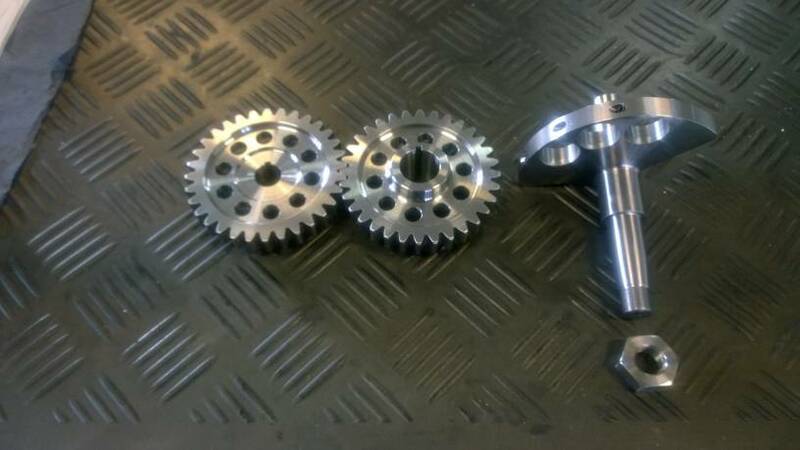 The spur gears are ready for hardening. I want to see this succeed. I chip in too. Keep it on track. Many people are with you. Many thanks, Andy! I feel that this is it. I will do this final big effort in getting this monster to work! I have idea that others are probably thinking. Would it be possible to fund and make more than just one? I for one would gladly buy for my engine that sitting in the pieces. Would be awesome for supermoto/tarmac riding. More comfortable for distance riding. I have gut feeling that this time it will work flawlessly. 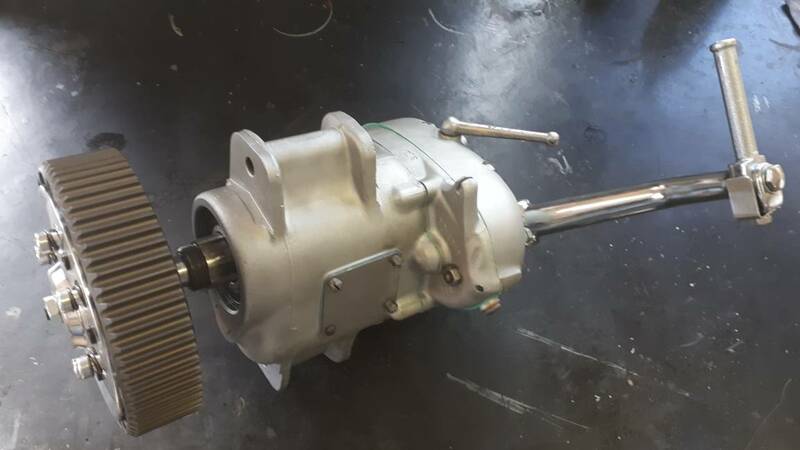 In the meantime I have overhauled a BSA A10 gearbox for my Hedlund Café racer build. Extreemely satisfying to put this 65 year old bugger together with fresh bushings/bearings and glass blasted casings!